Seems like we've been making a lot of transitions in our family and in our ministry this year. This week, we launched yet another one of our kids into life in the United States. Andrew is headed for Tucson, Arizona, where he will be working to finish up his highschool studies. We're excited for the opportunities he will have to learn and also for the time he will be able to spend with friends and family there. While he won't be living with his grandparents, he will hopefully be able to spend some time with them to encourage and be encouraged by them. Pray for him as he settles into life in his passport culture. As of today, there are six people living in our house, but that number will most-likely change in the coming weeks as God continues to bring young people into our home and our lives for discipleship training. Bible Pathways at the Aposento Alto. For those of you who have been praying for Pedro, he is making a miraculous recovery after his near-fatal motorcycle crash last month. Best of all, though, is that he is on the road to becoming the man God designed him to be. On Sunday, he and 6 other young men from our village started the "Pathways to Understanding the Bible" course. Jessee and Jeremias are teaching the course, under Doug's supervision. About 90 kids participated in the two-day soccer tournament. Between games, we shared workshops on hygiene and good character traits. Because the event was held on school property, we were asked to not teach directly from the Bible. Keala connecting with the girls while the boys' team plays soccer. God continues to open up opportunities in various communities near us. The soccer outreach in the village of Las Flores was a whopping success. We hope to host similar events in surrounding communities every two months during the next year. Ultimately, in God's timing, our desire is to plant churches in the villages of Las Culebras and Las Cañadas, but first we want to connect to the people and build relationships there. Our next soccer outreach is scheduled for May 23-24. Pray that God will reveal houses and people of peace -- that we would be able to connect with the families in these villages. We are thankful that God has raised up people like Braulio and Pily to accomplish this work! Joaquin and Luz continue working with the young people in Las Glorias, La Pitahaya and Boca del Rio training in baseball, softball, soccer and other activities designed to capture the kids' attention and to hopefully bring them to a knowledge of Christ. It's definitely a group effort! 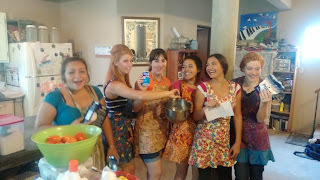 Yesterday, Evie and Keala hosted a baking class for a group of young ladies. "Cookies for everyone!" Pray that God would touch these girls' lives and show Himself real to them. 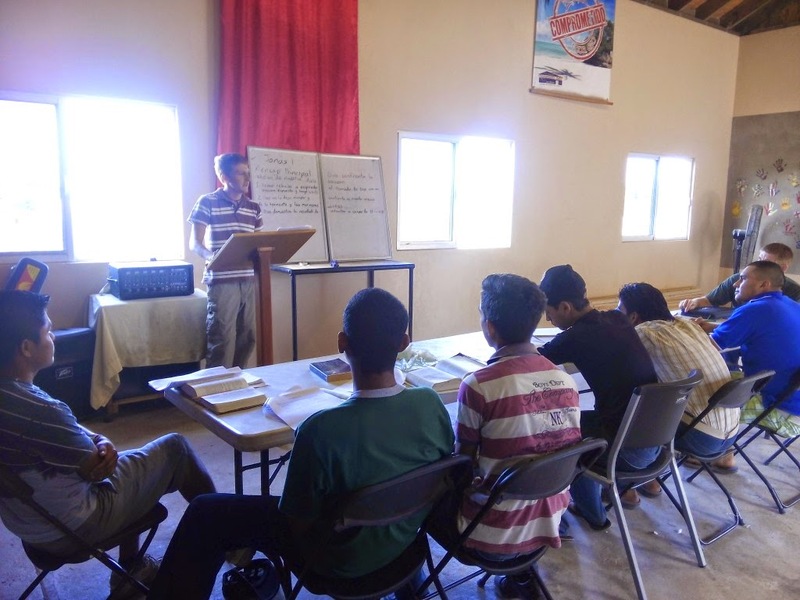 Vida Nueva Church in Tamazula hosted a discipleship training seminar a couple of weeks ago. Several of the youth from our group attended and learned some new techniques for building healthy small groups. On June 1, we are once again heading south to Central Mexico with a team of eight. These mission trips are an important element in our ministry and have a three-fold purpose. First of all, the trips encourage and support our missions in Nayarit (Narciso and Maria), Guanajuato (Ricardo and Cristina) and Puebla (Salvador and Petra). Secondly, they facilitate discipleship, as our students get "on the job training". Third, during our mission trips we're able to provide much-needed training for pastors and leaders in areas where there is very little solid Bible training available. 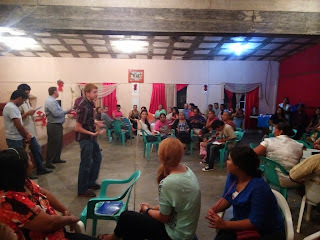 Our first stop will be Quimichis, Nayarit, where we will be teaching parenting classes. Narciso and Maria have done a wonderful job with their 3 kids, Samuel, Jonathan and Catarin. We hope to encourage them and their congregation with the two-day seminar we've developed. Next we will continue the Bible Pathways classes with Pastor Salvador in Patla, Puebla, and we will hold a parenting seminar in Xicotepec with Pastor Ezequias. Following, we will be with Ricardo and Cristina in Celaya, Guanajuato. In our last letter, we mentioned that we will be scouting locations to plant a new mission in this unreached region of Mexico. In this same area, we will be beginning a Bible Pathways course with the Church in Celaya. 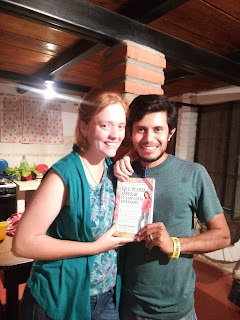 Sarah and Fabian are settling into life and ministry in the city of Alamos, Sonora, about 4 hours from us. They will be accompanying us on our trip south. Pray for Andrew as he settles into life, work and school in Arizona, where he will be for the next six months or so. Pray for the young men who have begun the Bible Pathways course here in the Aposento Alto. Hopefully, one young lady (Rocio) will be joining us this week. Also pray for Jeremias and Jessee as they teach, that they would be good stewards with the Word and have wisdom and discernment as they teach. Pray that God continues to work through the construction company we have created to generate employment and discipleship opportunities for men in our village. We currently have 8-10 men meeting each day to study the Bible at lunch hour. Pray that God would meet us each day as we study His word. Pray for Rebecca as she encourages the women and continues weekly Bible studies with them. Praise God for Pedro's miraculous recovery after his near-fatal motorcycle crash. He says that God has given him a second chance, and he's not going to waste it! Pray that he would continue firm in his faith. Praise God for the work He is doing through the soccer clinics and tournaments. This has been a great open door to build relationships in the villages of Las Flores, Las Culebras and Las Cañadas. Pray for the next tournament scheduled for May 23-24. At this tournament, we will have the freedom to teach the Bible openly, since we won't be on school property. Continue to pray for the youth that gather at our house each week. Praise God for the new friendships being established and pray that God would show Himself real to each young person in our village. Praise God for the work being done in the Circle of Silence and other parts of Mexico. Pray for our trip in June, that we would accomplish all that God has for us and that we would have our eyes open to see the way He sees things. Pray for Fabian and Sarah as they begin a new adventure...parenthood!